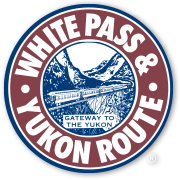 White Pass & Yukon Route extends a big thank-you to John Henderson for donating historic artifacts to the WP&YR. 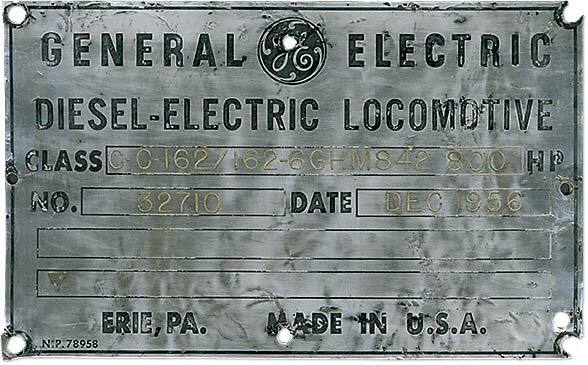 John sent us the builder’s plate from Engine #93 — one of the original 90 class diesel locomotives. 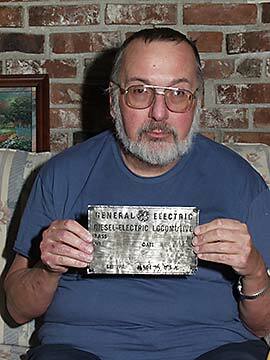 He had previously acquired it from a collector. 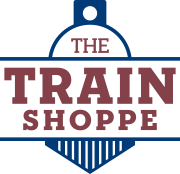 John is a dedicated railfan and has also donated his extensive slide collection to White Pass. With the help of Boerries Burkhardt of www.whitepassfan.net, the slide collection is being scanned and organized and will be unveiled in June during Boerries’ visit to Skagway. John is commonly associated with the Western Washington Steam Donkey Historical Association Illegitimus Non Carborundum. 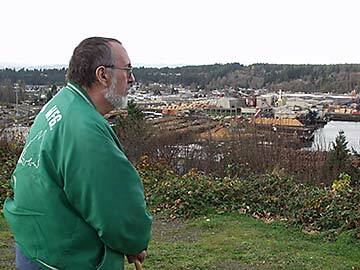 These photos were taken on November 25, 2005 in Shelton Washington, looking over Oakland Bay and the Simpson Timber Company sawmill complex.